In today’s business environment, it’s no longer enough to simply manage people you need to lead them. As research clearly shows, effective leadership produces better results for organisations and the people that work for them and for the leaders themselves. Effective leadership also means a more motivated workforce, an increased ability to retain talent, and teams that feel invested in organisation and its vision. 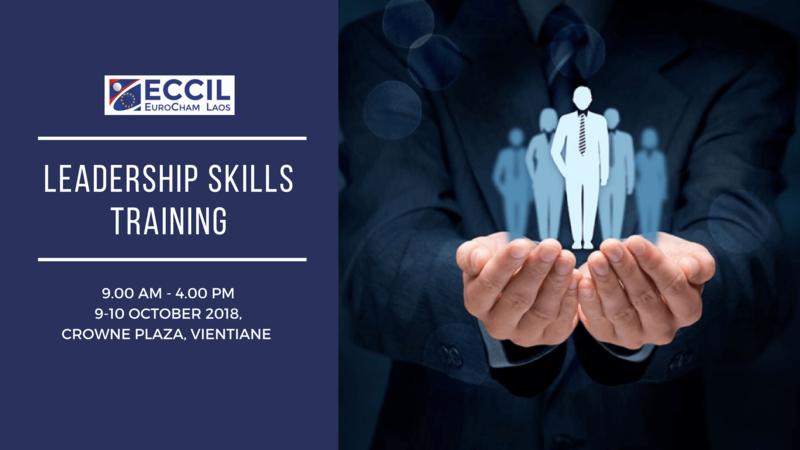 This 2-day course will provide you with a foundation in many of the skills required to be an effective leader in your organisation, as well as a range of tools, tips, and techniques that you’ll be able to implement right away. Anyone who needs to develop their leadership skills so that they can produce better results for their organisations and teams. Tony Campbell has spent the last 30 years training people in businesses, government departments, and non-profit organizations across the world to become more effective leaders. Tony has worked primarily in Asia, as well as in Europe, North America, and Australia, with some of the world’s largest organizations in a range of industries and sectors. Tony’s engaging and interactive workshop have helped to deliver real results for people and organizations around the world. Note: register with us before 15 September 2018 to get a 5% discount! 021 264330 or send an email to bounta.chantaboud@eccil.org or sem.eccil@gmail.com.